Creating a marketing calendar (editorial calendar) is critical to your success and will be the cornerstone of the activities you will do to promote your business in 2019. It is simply the act of thinking through the year and putting a plan in place. You can make the calendar as simple or as complex as you like. Additionally, we recommend taking some time to create a social media calendar as well. The Edmiston Group creates a general calendar every year, but we also customize these calendars for particular businesses allowing them to easily execute. Click here to download our 2019 calendar. Here are a few steps to get you started to customize your own plan. Start with a 12-month calendar. If you need to share a calendar with staff or outside consultants, we have found online Google calendars work well for us and you can share it with others. Incorporate each of your desired offerings into the calendar. Account for holidays, peak seasons, etc. Next, incorporate community events, trade shows, and any other event that will affect your promotional dates. Work backward from each key date with high-level promotional features. Think about press release dates, paid traditional advertising, time to develop and print promotional materials, and social media marketing. Be sure to calendar drop-dead dates for each promotion. Leave flexibility for your social media promotions. You will want to be consistent, so set a pattern for each of your social media channels, and then accommodate the promotion into your posts when the time is right. For example, perhaps you will post to Facebook three times a week, Twitter twice a day, and incorporate Instagram, LinkedIn or Pinterest depending on the type of business you have. Technology is always changing. Use it to your benefit by looking for efficiencies. Schedule a week’s worth of posts each Monday. Use one of many dashboards to manage your social media. Set Google alerts on subject matter that you can use for blogging or for your newsletters. Just because you think something is a good idea, your customers may not. Don’t rely only on your own intuition. Talk to your customers to see if they are struggling with anything in particular. That can help you understand what their needs are. Before kicking off each promotion, be sure to write down your desired outcome. You may remember what the results are this month, but unless you write them down, are you really going to remember those results 9 months from now? These measurable objectives hold you and your staff accountable for the end results. This likely includes a financial aspect, but may also include increased awareness as identified by growth in social media followings and/or expansion into a new market. Capture your baseline for each promotion and compare it to the end result. Depending on your goal, your baseline may be financial or a number related to the number of customers or followers. For example, if you’re running a Facebook ad or social share campaign, know the number of fans you had when you started, measure downloads of information and increased likes for your page. Track your financial expenditures and income for the promotion. This determines the actual cost of obtaining a new client. Track all other related metrics (growth in customer base, number of increased leads, etc.). When using a variety of print material, code coupons to measure what worked and the type of client the coupon generated. A Valpac ad may generate a different type of client than a social media campaign or printed newspaper ad, but without coding the coupons and tracking the results, you don’t know the type of customer you’re attracting and the dollars that customer is willing to spend with you. 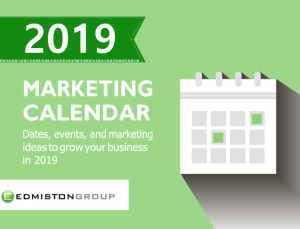 The experts at the Edmiston Group can help you create your 2019 marketing program, an editorial calendar, or can work from it to help with content creation. Wondering how to get started in identifying business objectives and overall growth in 2019? Call 724-612-0755 or email us to get started. For businesses that are serious about creating great content, having a blog is more important today than ever before. Blogs fit into your email marketing campaign and allow you to humanize your marketing with thoughts, advice, and insights. They help to establish you as an expert in your field. Why are you creating a blog? How does it benefit your business and more importantly what information are you providing that is of value to your readers? These goals will guide the rest of your decisions. Who are you going to be speaking to? Know your audience – is it a business to business or business to consumer.Who are the people who are going to be reading your blog? What type of knowledge can you share with them? What are the questions to be answered? Our blog, for example, is all about providing helpful insight and practical advice for small businesses and nonprofits that are interested in marketing and growing their business. Every piece of content we create is written with that audience in mind. What are you going to talk about? Every blog is built on certain “cornerstone” topics. This plays a key role in the marketing plan established for 2019. By establishing the topics you’re going to focus on, you’ll be able to make better decisions about what ends up on your blog. This will enable you to build a community around your blog and increase the chances of having readers referring other people to it. This won’t only put your content in front of a wider audience but will also be valuable for boosting your presence on search engines like Google. Google alerts on general topics are easily shareable on your social media, but also may give you ideas for upcoming blogs. How frequently will you be able to post? Like with all the stuff you’re already doing to market your business online, the frequency will need to be an important consideration when starting your blog. Be careful not to go great guns at first and burn out. Commit to posting and create hard deadlines in your marketing calendar when you want the posts to go up. What type of content do you want to create? One of the biggest misconceptions people have about blogs is that a certain level of writing expertise is required to create one. What questions can you answer for your audience? Write out these answers or simply record yourself answering the questions. The fact is that for a lot of people, writing isn’t something that comes easy nor is it something they particularly enjoy doing. For those people, incorporating other types of content like photos and videos may be a better alternative. Additionally, blogging can be outsourced. The Edmiston Group writes a number of blogs for different businesses. By creating a Marketing Calendar first your blog can flow with other marketing efforts. For example, as trade show season approaches, the Edmiston Group talks about how to prepare for a trade show utilizing social media and email marketing to drive traffic to your booth. We also blog about the follow-up after a show and incorporating those leads into your newsletter and sales funnel. By having a blog on your website it creates new content for the web crawlers for SEO purposes. This also establishes you as the original author. We put a standard About the Author at the end. Over time, when searching for particular topics, you will see various blogs pop up in Google search. The good news – by answering these questions you’ll already have the bulk of that first post written. 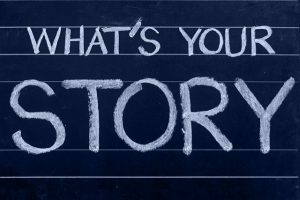 Why are you creating a blog? Who are you speaking to? What topics will you be writing about? How often will you be posting? Okay, you know what you need to do—now it’s time to do it! Need some help? 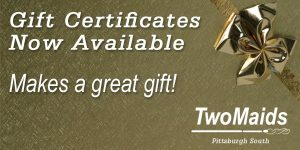 Email or call 724-612-0755. 2018 is coming to a close. As a business owner or someone who works for a company, do you take the time and reflect back on the year to see if you hit the mark or where you fell short? If you don’t measure, you’re missing opportunities to either do more of what’s working or shift from actions that aren’t working. The one thing for certain is there will always be change. Often, I’ll talk with business owners and ask how did that client come to you? They typically can tell me where the last client came from, but when we dive deeper into how many new leads have you had in the past 3 months and from those, what turned into business, they haven’t written the information down in some format – either a CRM, Excel sheet or whatever system works for them. We are coming into the last month of the year. For many, that means a plethora of holiday parties and vacation days. Is your company preparing for a customer appreciation event? Add the stress of preparing for the holidays and often you will hear, “Let’s touch base after the first of the year”. So, how are you using some of the downtime toward the end of the year? Perhaps that is the time to lay out 2019’s plan of action. Have you established strong referral partnerships? The Edmiston Group works closely with McKibbin Consulting. We look for opportunities for each other and as a result of this partnership, many of our clients are in the commercial construction field. We’ve made introductions for them and manage their marketing efforts. Some people have strong ties to BNI or are involved in other category specific networking groups. The point is, find what works for you to grow your business and nurture those relationships. Be certain that the giving of referrals and looking for business for each other is a two-way street. Do you speak? There are often missed speaking opportunities for breakout sessions at trade show events, but you must plan ahead and submit the required outline that will position you as an expert. Are you trying to hit a niche market? Does that market have a Continuing Education Unit (CEU) requirement for licensing? Can you create a program to meet those requirements? Think about it, if you’re marketing to accountants, nursing, social workers or attorneys that have CEU requirements – you become a subject matter expert in front of a room full of potential customers. This takes some effort on your part, but it certainly is targeted advertising. Email marketing is a great way to stay top of mind when the need arises. A client of ours, Wright Business Systems recently talked about branded apparel and corporate gift giving for the holiday season. They have over 400 people on their email list. We can see who opened the email and which contacts clicked on the links within the newsletter. They are now warm leads for the team to follow-up with. Undeliverable emails represent opportunities to touch base with companies to determine who the new purchasing agent is and set an appointment. Social Media helps level the playing field for small business owners. In working with many smaller businesses, they don’t have the big bucks to compete with the large box stores, but through engagement with social media, they have grown their followers. Sometimes business owners we speak with say I don’t have the time or know what to post. At the beginning of the year, the Edmiston Group offers a free social media calendar to download. Look for that in our January issue. However, in 2018, we’ve developed some customized calendars for specific businesses. Branded sales and/or holiday wishes touch their social media audience. Business owners are given a plan and taught how to preschedule postings. For those that are too busy, they outsource this service to us or someone else, but there is a plan to follow. If you haven’t picked up on the theme of this by now, it’s having a plan and setting aside time to think about goals for next year. Write down monthly activities and execute the plan for 2019. This makes it easier for you and your staff to look ahead to first quarter and see things such as we’re attending a trade show, something for Valentine’s Day or a St. Patrick’s social media post that should happen. 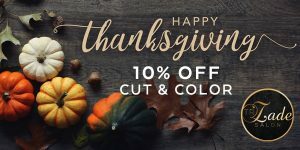 The Edmiston Group helps you create a yearly marketing plan, customized social media calendars, and branded social media images specifically for your business. Customized programs can be designed to fit your budget. Take some time as the year comes to a close, reflect on your successes and plan for 2019. 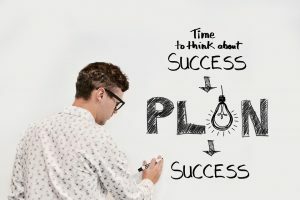 Want some help in putting together your 2019 plan? Download a sample of a Custom Marketing Calendar or give us a call at 724-612-0755 or email autumn@edmistongroup.com for more information. Make 2019 your best year yet!